It's that time again ....time for our next Fussy & Fancy Challenge .... number 169 hosted by the lovely talented Diane who has chosen 'A Walk in the Garden' as her theme. She explains that she would love to see your interpretation of gardening, it can be flowers, butterflies, bees or even veggies ... whatever your idea of gardening is. 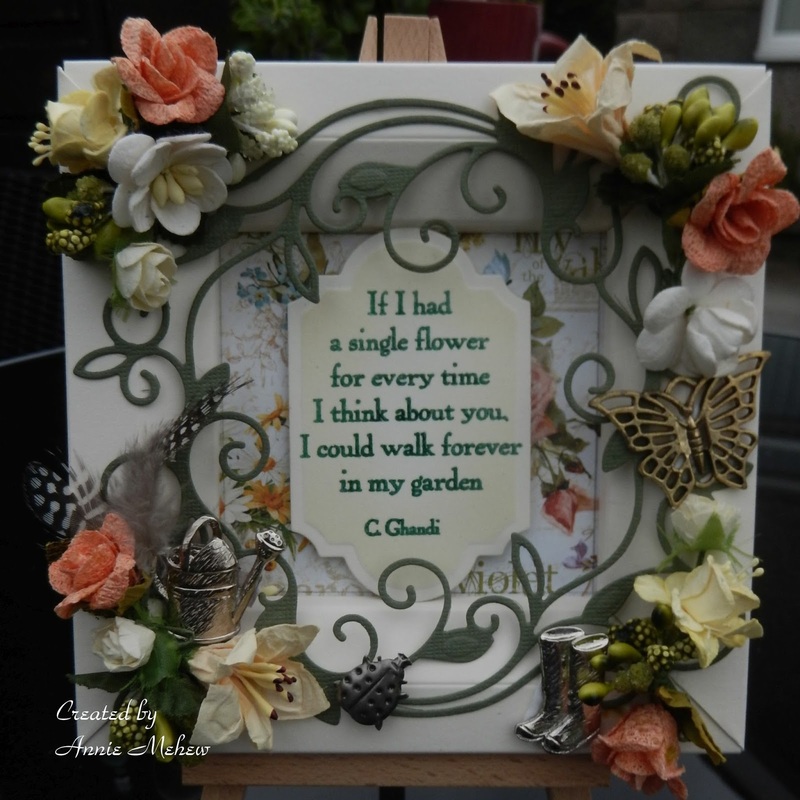 Next to crafting gardening is one of my favourite pastimes and most of cards have flowers on them so there was plenty of choice there. 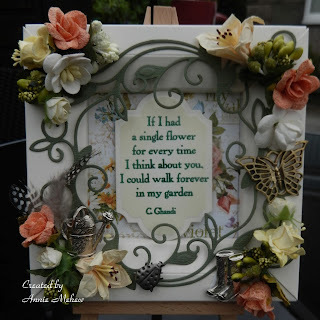 Then I remembered one of my favourite quote stamps from Clarity stamps ...it credited to C Ghandi If I had a single flower for every time I think about you, I could walk forever in my garden. 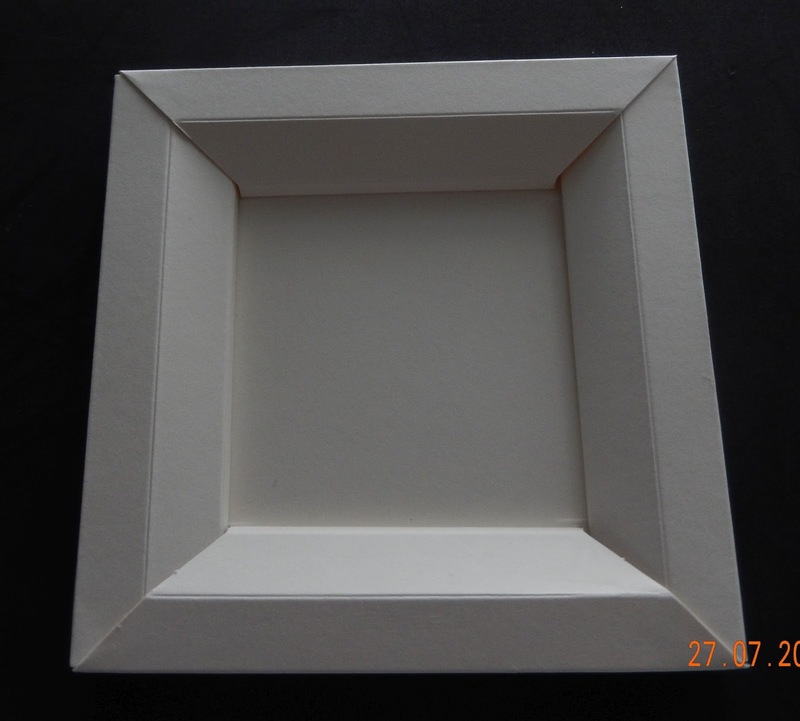 Before I finally glued the sides in place I used a piece of my precious sheets of G45 Secret Garden papers as a background. Annie your card is gorgeous will the beautiful flowers and pretty details...love the verse, too and so true...a stunning creation!! WOW this is just beautiful Annie! LOVE the flowers & trinkets .. just awesome! I'm one of the newbies at Fussy and Fancy! I look forward to getting to know you better and being inspired by your creations!